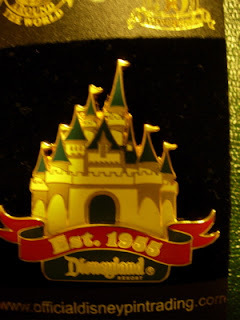 This is an official Disney Pin, showing Disneyland's Castle. It says 'Est. 1955' to reflect that Disneyland Resort was established in 1955. This pin was sold in 2005 and was offered as part of Disneyland's 50th Anniversary.